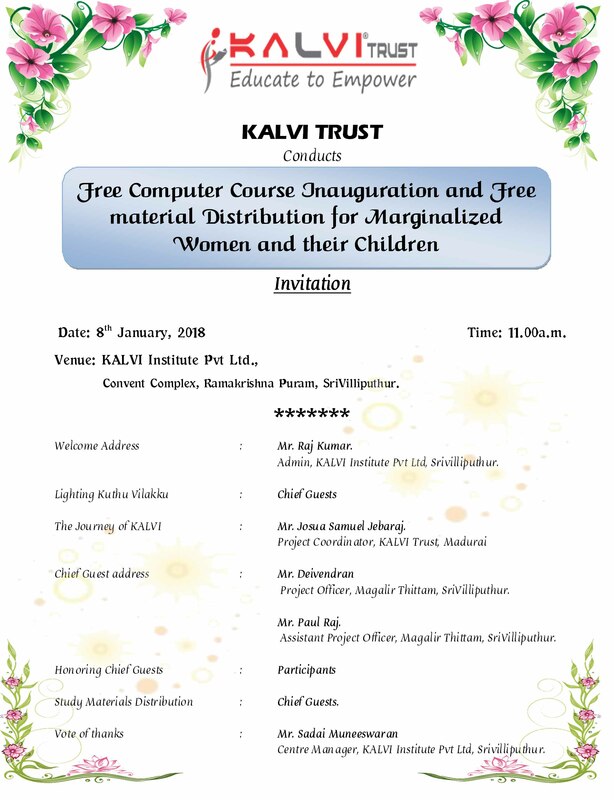 KALVI Trust, Madurai Inaugurates Free Computer Course like Tally with GST to 30 Marginalized women in Sri Villiputhur, Virudhunagar District by Assistant Project Officer of Magalir Thittam Mr.Paulraj. The major aim for the course is to develop Computer related Skill training with Government Stipend and make job Placement to all the students in leading companies in and around the District to the Marginalized women. During the meeting chief Guests will be distributes Bags, Note books etc., to the participants and their Children.